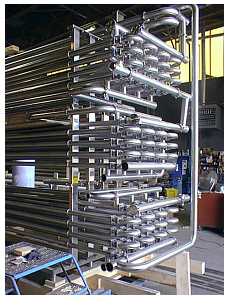 Tube in Tube Heat Exchangers - R-Cap Process Equipment, Inc. 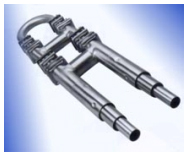 Suitable for wide range of viscosities and fluids containing particulates. Products flow in the annular space between tubes opposite directions.